A 400-year-old shopping list has been discovered under the floorboards at Knole during a multi-million project to restore the house and its collection. The find is one of a series of 17th century letters uncovered in areas of the house that have remained unexplored for centuries. This month marks the 50th anniversary of when Beatlemania hit Sevenoaks. The legendary British band recorded promotional videos for their double A-side, Strawberry Fields Forever and Penny Lane, from January 30, 1967. John Lennon, Paul McCartney, George Harrison and Ringo Starr visited the deer park on three occasions in January and February that year, each time accompanied by Swedish film director Peter Goldman and a camera unit from Don Long Productions. 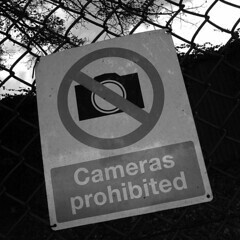 Penny Lane http://www.youtube.com/watch?v=S-rB0pHI9fU Shot in Stratford, Knole Park and Liverpool. I went there with parents when I was 7 when we stayed in Sevenoaks, travelling down from Lincolnshire. I remember we fed some young deer in the park. Thanks Merc and I agree with you Islesy it is a great place. I too used to use the park to play in as a child and, when I was older, just for a lovely walk. The House is truly awe inspiring and well worth a visit. It's a great place CliveH - especially during the Rut in Autumn when the deer are particularly active. 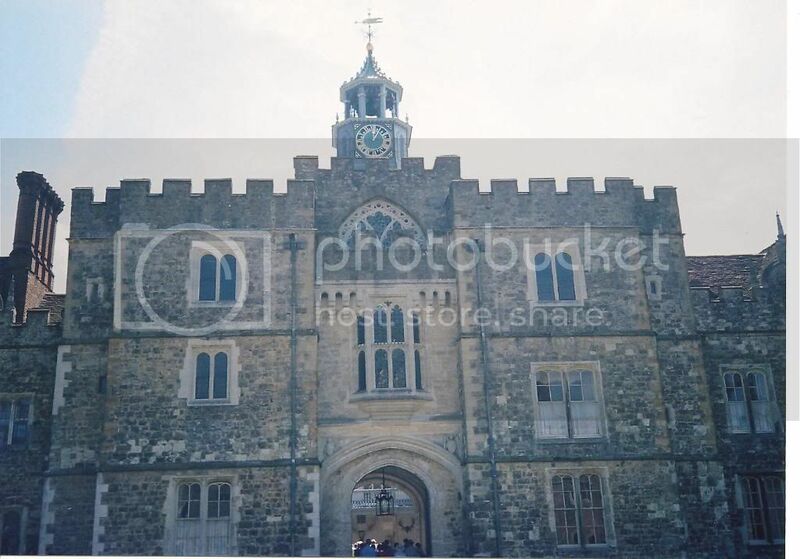 I have relatives in the area (not the Sackville family ) and used to play in and explore Knole Park when i was younger, i never went inside the grand Knole House though. Knole House, set in 1000 acres of deer park in Sevenoaks in the west of the County, is one of England’s finest and largest country houses. It’s said to be a ‘Calendar House’ with 365 rooms, 52 staircases, 12 entrances and 7 courtyards. In 1456 Thomas Bourchier, Archbishop of Canterbury, bought the Manor of Knole from Sir William Fiennes, Lord Say and Sele, for £266 13s 6d. The Manor then consisted of several hundred acres but there’s no evidence of whether there was any building already on the site then. Bourchier enlarged the Estate, in an era of rising rents, to fund the building of a great house over the following 30 years. Bourchier died at Knole in 1486, bequeathing the estate to the See of Canterbury and to his successor as Archbishop, John Morton. Morton, a man of some wealth, enlarged the house and so did - after his death at Knole in 1500 – his successor but one, William Warham. Warham’s successor as Archbishop, Thomas Cranmer, was forced ‘voluntarily’ to give the House to Henry VIII. 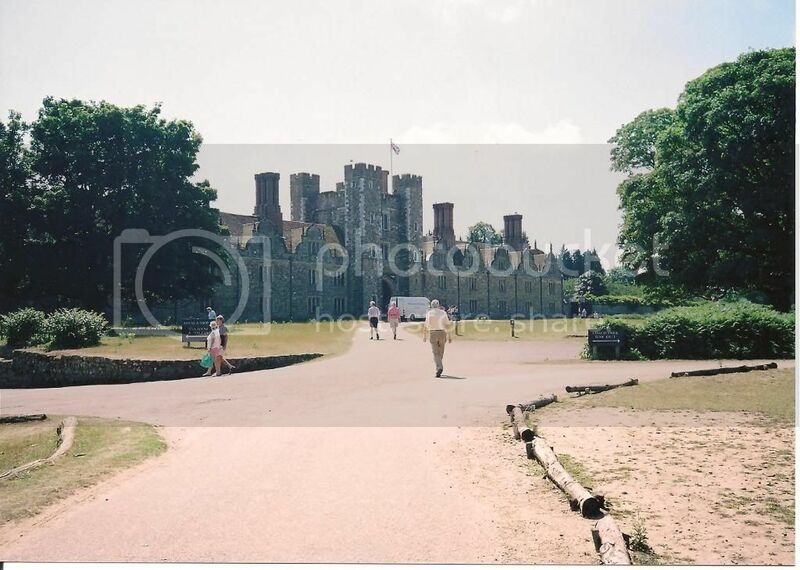 Henry spent very little time at Knole, being just one of his 60 Royal residences, but did spend some money on the House including funds to build the gardens there. 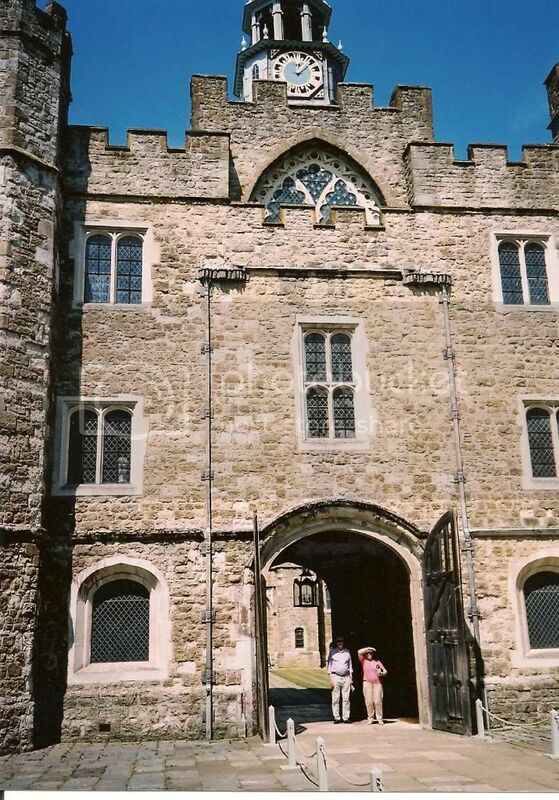 After Henry’s death, in 1547, Knole passed to his ten year old son, Edward VI who granted it to his Protector, John Dudley, Duke of Northumberland. When Queen Mary ascended the Throne in 1553 she had Northumberland executed and assigned the House to Cardinal Pole, Archbishop of Canterbury. Following Mary’s death, Elizabeth I granted Knole in 1561 to Northumberland’s son and her favourite, Robert Dudley, later Earl of Leicester. Dudley made some alterations to the House before, after just five years, handing it back to the Queen in exchange for a grant of extensive lands elsewhere. In the meantime Leicester had assigned a 99 year lease on Knole to one Thomas Rolf who, following his prompt death, left all his estates jointly to a John Dudley and William Lovelace. Tradition has it that Queen Elizabeth then granted the freehold of the Estate to her cousin, Thomas Sackville, although there is no documentary evidence to support this. What is more certain is that in 1570, following his inheritance of a large fortune from his father in 1566, Sackville, now Baron Buckhurst, bought the lease from John Dudley and William Lovelace for £1000 each. Thomas was appointed Ambassador to France in 1571 – a grand appointment which caused a severe drain on his finances. 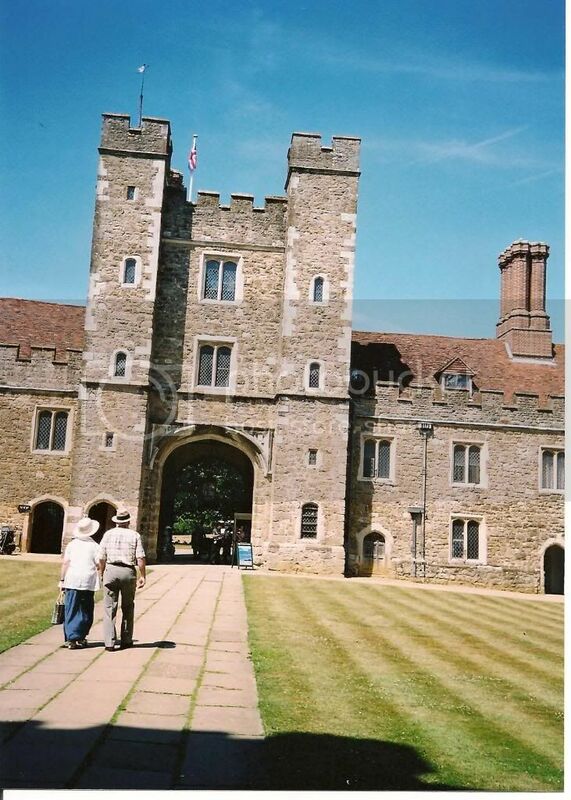 He economised my assigning the lease of Knole in 1574 to John Lennard, a local landowner whose family occupied the house for the next 30 years. In 1604, his finances restored, Thomas Sackville bought back the lease from Lennard’s son, Sampson, for £4000. On 5th April 1605 the Crown sold the freehold to a Rowland White for just £220 6s 8d and only two days later Sackville had bought it from him for £2500! Thomas was now the outright owner of Knole, which by this time had become quite dilapidated, and he set out to create a great showhouse to befit a man of his now high rank of Lord Treasurer and Earl of Dorset. The Estate remained owned by the Sackville family for the next 340 years. One famous resident was the writer Vita Sackville-West who was heartbroken having to leave the House following her father’s death in 1928. She went on to find a new home at Sissinghurst Castle where she created her world famous garden. In 1946 the family handed the House over to the National Trust but retained possession of the Park and much of the contents of the House and were granted a 200 year lease on various private apartments there. It is interesting to note that, including the current 6th Lord Sackville, there are now more members of the Sackville-West family living in the House than at any time in it’s long history. The above condensed from the National Trust booklet on Knole.